Shed any preconceptions. 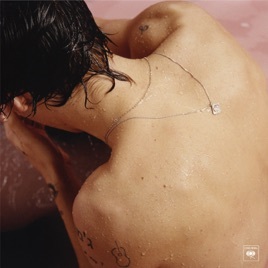 Across 10 songs, Harry Styles has the time of his life and emerges from his boy-band chrysalis a rock star. The One Direction heartthrob, we can definitively say, has chops. “Sign of the Times” is the magisterial Bowie-meets-Elton calling card but a slight outlier—so many highlights here get down and dirty with the riffs and attitude upon which Britpop heroes earned their fame. The swampy bass and carnal choruses of “Carolina” make it feel like a dive bar favorite, “Only Angel” explodes into a Stones-worthy strut from a celestial intro and the raucous “Kiwi” will get fans hot under the collar for more than just the “having your baby” refrain.